Kent Electrical Solutions Ltd is the website for Kent Electrical Solutions Ltd. The Kent based electrical company provide domestic and commercial electrical installations throughout Kent, London and the south-east. Electrical work by qualified Kent electricians. Kent Electrical Solutions Ltd was formed in 2009 offering Cat 5e data cabling and Fibre optic cabling services. The Kent-based electrical company, soon expanded into both domestic and commercial electrical installations i.e. lighting and power. As a strong reputation grew throughout Kent, London and the south-east for all areas of electrical work and the high quality assurance of their Kent electricians. 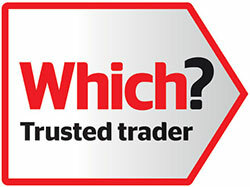 In 2010 Kent Electrical Solutions Ltd was accredited with the NICEIC approved contractor certification, which led to further growth and reputation. Through experience, the quality of electrical services, professional work and time and cost management,Kent Electrical Solutions Ltd have built a strong reputation both in the electrical trade and through customer satisfaction word-of-mouth. The NICEIC approved contractor certification has led to Kent Electrical Solutions Ltd undertaking a high volume of insurance work and housing association upgrades and rewires. As approved NICEIC installers including Part P, we are able to notify all work to the relevant building control sectors. Kent Electrical Solutions Ltd are qualified to undertake all insurance works, landlords’ safety checks and periodic conditioning reports on all domestic and commercial properties. As professional electricians, we are assessed every year to make sure we are compliant to current regulations. Health & Safety is a main priority for Kent Electrical Solutions Ltd. All our electricians are CSCS and ECS Registered and are all covered by public liability insurance.